The "Moments to Remember" Book represents my life's work. This spans over thirty years, includes all 16 paintings in the series. Each painting required years to research, prepare, and paint. The large format allows for detailed images, making this book a perfect addition to the coffee table in your living room or office. If purchased separately, all 16 prints in this size would cost well over $600. Order "Moments to Remember" (3rd edition) for only $95.99 (plus shipping) from Blurb Publishing. See the preview. Order "Moments to Remember" (Collector's Edition) for $159.95 through Amazon.com. Another Day in the Books Depicts the office of W.H. Hutchinson on the 25th anniversary of a patent for his unique soda bottle stopper. The date, on the desk calendar, is April 8, 1904. The clock shows 6:10pm. The day is done, and the Blackbourn Ledger is put away. Reflects a slower time when glass bottles were made one at a time. "Free Rain" NOW AVAILABLE. Produced on acid-free papers using archival inks to guarantee that they last a lifetime without fading or loss of color. All art prints include a 1" white border around the image to allow for future framing and matting, if desired. This is also available as a print on CANVAS, in the same size as the original (24x18) or larger! Our supplier can print this image on a wide variety of surfaces. Order today. The original painting is still available, framed with a custom frame also created by the artist. Original is $1250. Contact me. Front Porch Freedom celebrates country life and American pride in small towns everywhere. Now for the first time, we offer a print on high quality Canvas, the same size as the original painting. Get your copy today! Each and every painting in this series depicts a specific day of life as it was in the fifties. 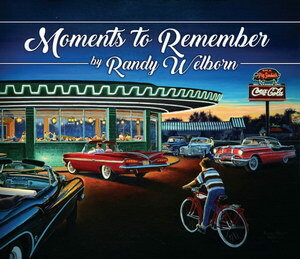 Take a trip back in time in this collection of paintings by Randy Welborn. The fifties were a unique and memorable time in history. This series of paintings brings those memories back to life remembering iconic and historic places in Beaumont, Texas exactly as they appeared in the fifties. Enjoy vibrant colors showcasing the fantastic neons lights and excitement of the fifties. 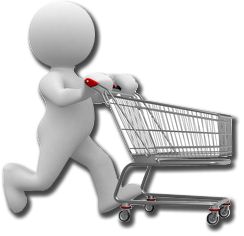 For detailed descriptions, see our Videos. As you pass through Kountze on Highway 69, don't forget to stop at Mama Jack's for the most delicious southern home cooking any restaurant ever served! Enjoy Mama Jack's! Also, we have new High School prints just released: Kelly High School , David Crockett Jr High , The Top Half Cafe , St. Anthony's High School , the Beaumont High School , along with the South Park High School , and the French High School. These seven reproductions are colorized versions from my original Pen & Ink drawings. I've taken the time to add color to my original Pen & Ink drawings using high quality Prismacolor Premier softcore pencils. This colorization brings them back to life, just like you remember them - in living color. View scenes of the "Big Thicket," the Gulf Coast beach and the surrounding area where the artist Randy Welborn and his family have lived for most of their lives. 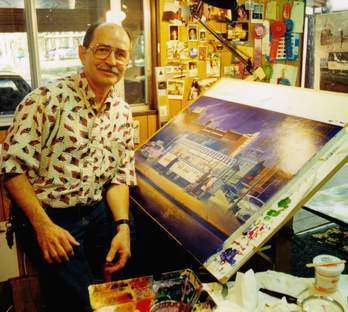 Randy Welborn shares some details about his paintings in his biography. All of these prints are made on highest quality, fade-resistant photographic paper and will not fade like offset lithographs. Prints are available in 8.5x11" sheet size (8x10 image size) for $34.95, and 16x20" size for $79.95 (plus shipping & handling). Special sizes are available on request. Just Contact Randy Welborn for special requests. You may purchase prints online using your credit card through our secure affiliation with PayPal. Click the thumbnails in the left frame to view the prints, then click one of the purchase buttons which appears under the larger image.